Researches from University of Helsinki present a new high-throughput platform for studying titanium dioxide (TiO2) photocatalytic oxidation reactions. Aixtron SE (AIXG), announced Tuesday that the Committee on Foreign Investment in the United States or CFIUS has approved the sale of ALD and CVD memory product line. The company noted that the investigation by the CFIUS of the sale of AIXTRON's ALD and CVD memory product line to Eugene Technology in South Korea resulted in a determination that there are no unresolved U.S. national security concerns from CFIUS' perspective. ESPOO, Finland, 24th October, 2017 – Picosun Oy, leading provider of advanced Atomic Layer Deposition (ALD) solutions for global industries, has invented an ALD-based method(*) with which the operational lifetime and reliability of printed circuit board assemblies (PCBA) can be efficiently improved. 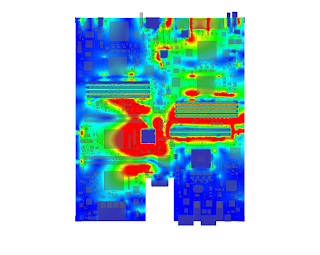 Metal whisker formation and corrosion are some key factors that cause PCBA performance degradation over time. Metal whiskers are thin filaments or threads growing out from solders, components, and interconnects on the PCBA, and they can cause short-circuiting that leads to a system failure. This is particularly fatal in several sensitive applications such as medical, automotive, space, aviation, military, and industrial control electronics. Previously, lead has been added to solder alloys to prevent whisker formation, but the current environmental regulations prohibit its use. This is why novel methods, such as the ALD-based surface protection technique developed and now industrially enabled by Picosun are very much sought after amongst the electronics manufacturers. In Picosun’s approach, application-specifically tailored ALD nanolaminate forms a dense, conformal, and hermetic seal on the PCBA. This seal protects the PCBA components from the corrosion caused by moisture and impurities in the ambient air and blocks the metal whisker propagation. As ultra-thin films, ALD coatings have the additional benefit of allowing postprocessing of the PCBA, and they do not increase its mass or dimensions. 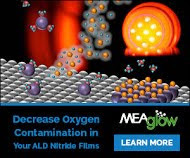 Furthermore, as a gas-phased technique, ALD is gentle to the surface, it can be applied at moderate temperatures, and it is environmentally friendly. “Our PCBA protection technology has gained lots of interest amongst our clients both in industries and in R&D, and many are eager to start applying it in their manufacturing processes. Electronic circuit board industry is a vast, global market, where we are happy to utilize our ALD knowhow to enable products of extended lifetime and improved safety and reliability. Our comprehensive selection of industrial ALD systems guarantees an optimal solution to every customer, allowing fast and economic processing of even large area PCBAs in just one process run,” states Juhana Kostamo, Managing Director of Picosun. JVST A is Soliciting Research Articles for Publication in a March/April 2018 Special Issue on Synchrotron Radiation and Atomic Layer Deposition for Advanced Materials. This special issue is planned in collaboration with the E-MRS Fall Meeting 2017 to be held at Warsaw University of Technology in Poland, from September 18-21, 2017. The Special Issue will be dedicated to the science and technology of the use of synchrotron radiation to advance the state-of-the-knowledge in atomic layer deposition of materials. While many articles are expected to be based on material presented at the E-MRS Fall Meeting 2017, research articles that are on topic but were not presented at this meeting are also welcome: the special issue will be open to all articles on the science and technology of Synchrotron Radiation and Atomic Layer Deposition for Advanced Materials. IEDM 2017 Announcement (LINK, Press kit): Intel researchers will present a 10nm logic technology platform with excellent transistor and interconnect performance and aggressive design-rule scaling. They demonstrated its versatility by building a 204Mb SRAM having three different types of memory cells: a high-density 0.0312µm2 cell, a low voltage 0.0367µm2 cell, and a high-performance 0.0441µm2 cell. 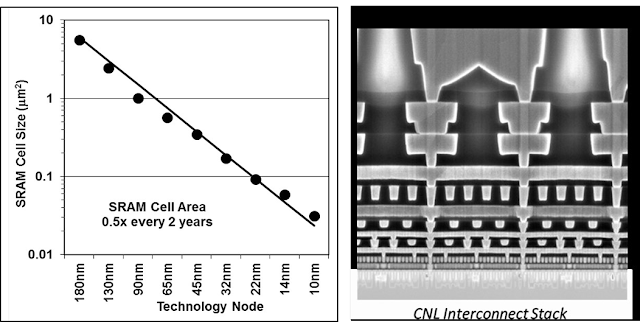 The platform features 3rd-generation FinFETs fabricated with self-aligned quadruple patterning (SAQP) for critical layers, leading to a 7nm fin width at a 34nm pitch, and a 46nm fin height; a 5th-generation high-k metal gate; and 7th-generation strained silicon. There are 12 metal layers of interconnect, with cobalt wires in the lowest two layers that yield a 5-10x improvement in electromigration and a 2x reduction in via resistance. NMOS and PMOS current is 71% and 35% greater, respectively, compared to 14nm FinFET transistors. Metal stacks with four or six workfunctions enable operation at different threshold voltages, and novel self-aligned gate contacts over active gates are employed. The graph on the left shows that the new platform maintains traditional scaling trends, while the photomicrograph on the right shows the platform’s 12-layer interconnect stack. As reported by nanotechweb.org: An in situ measurement technique that can monitor the process of atomic layer deposition (ALD) in real time has been developed by scientists in Germany. 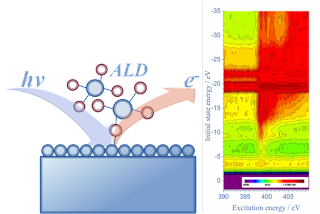 The researchers used changes in the conductance of layers over multiple ALD cycles to identify the different growth phases as they occurred, allowing undesired modes of deposition to be averted. The conductance signal was also used as the input to a genetic algorithm that could optimize the growth rate semi-automatically. Full article : "Conductance measurements optimize atomic layer deposition automatically"
ALD FOR INDUSTRY, MARCH 21 – 22, 2018 – DRESDEN: Following the succes of ALD for Industry 2017 with 100 participants we will continue to organize this event. This time we have extended the Workshop with half a day to a full 2 day event and the ALD Exhhibition will also be open for the public! In addition, the part of the workshop will be a HERALD Event so please contact us for more details on that. Background: A topical workshop with focus on industrialization and commercialization of ALD for current and emerging markets Atomic Layer Deposition (ALD) is used to deposit ultrathin and highly conformal thin films. 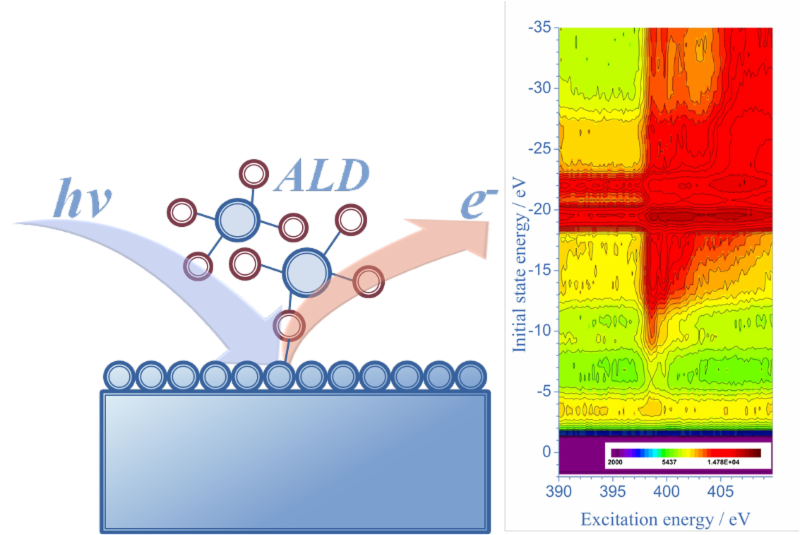 ALD is unique in the sense that it employs sequential self-limiting surface reactions for growth in the monolayer thickness regime. ALD in Germany: According to market estimates the equipment market alone is currently at an annual revenue of US$ 1.5 - 1.7 billion (2017) and it is expected to double in the next 4- 5 years. In a European context ALD was invented independently twice in Europe (Russia & Finland) and since the last 15 years Germany has grown to become one of the strongest European markets for ALD in R&D, chemicals, equipment and end users. Here, Dresden and Saxony isa unique ALD hotspot due to a strong semiconductor and equipment industry. 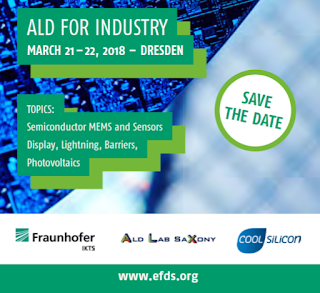 The Event will focus on the current markets for ALD, besides the leading edge semiconductor industry, applications in MEMS and Sensors, Display, Lightning, Barriers and Photovoltaics will be addressed. The Critical Materials Council (CMC) Conference Committee has issued a call for papers to be presented at the 2018 CMC Conference April 26-27 in Phoenix, AZ, USA. Following the annual members-only CMC meeting to be held earlier that week, the 2018 CMC Conference is open to the public. 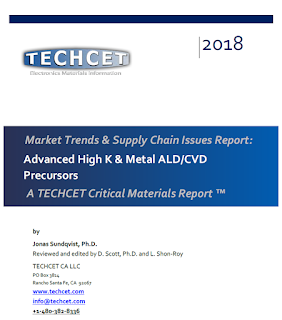 KEYNOTE: David Bloss, Vice President, Technology and Manufacturing Group Director, Lithography Technology Sourcing, Global Supply Management, Intel Corp.
To submit a paper for consideration, please send a 1-page abstract by January 15, 2018 to cmcinfo@techcet.com. 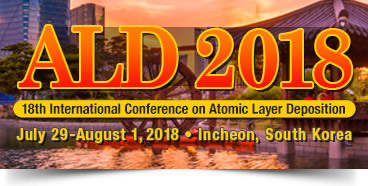 ALD 2018 July 29-Wednesday, August 1 Incheon, South Korea. The AVS 18th International Conference on Atomic Layer Deposition (ALD 2018) featuring the 5th International Atomic Layer Etching Workshop (ALE 2018) will be a three-day meeting dedicated to the science and technology of atomic layer controlled deposition of thin films and now topics related to atomic layer etching. Since 2001, the ALD conference has been held alternately in the United States, Europe and Asia, allowing fruitful exchange of ideas, know-how and practices between scientists. 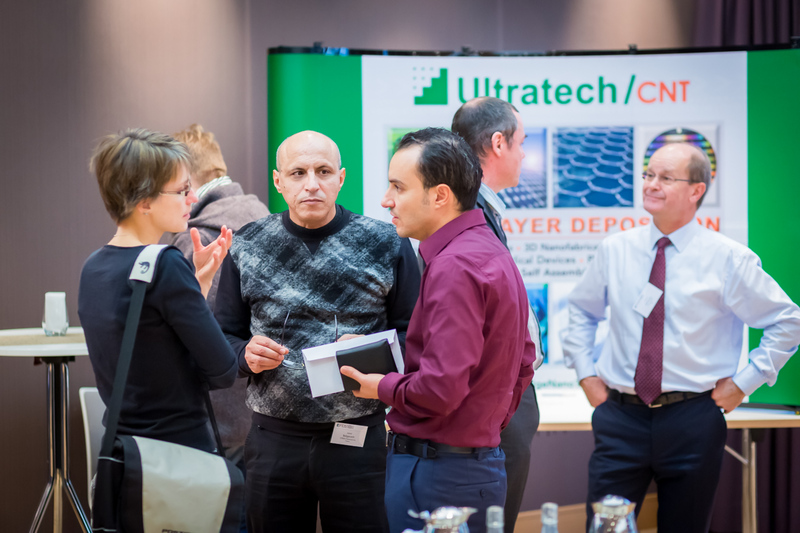 This year, the ALD conference will again incorporate the Atomic Layer Etching 2018 Workshop (ALE 2018), so that attendees can interact freely. The conference will take place Sunday, July 29-Wednesday, August 1, 2018, at the Songdo Convensia in Incheon, South Korea. 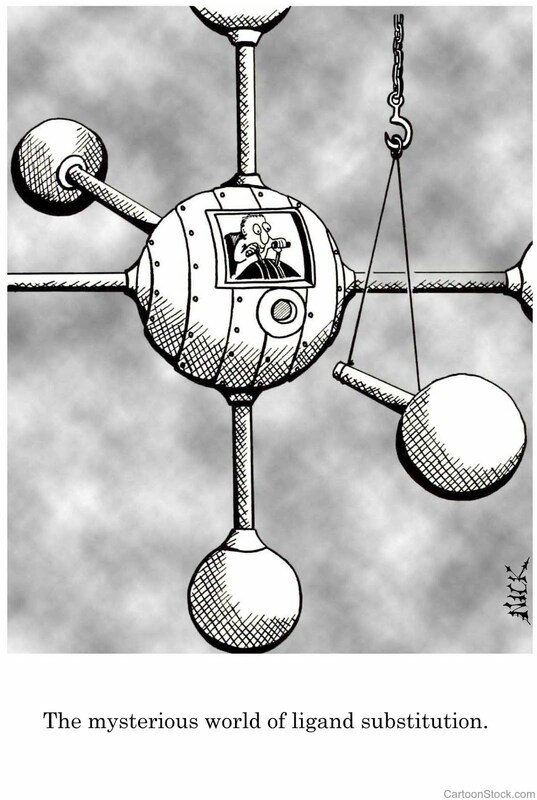 Please find the original publication in the Atomic Limits Blog (LINK) as well as the Open Source publication below. 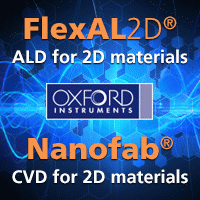 We introduce atomic layer deposition (ALD) as a novel method for the ultrathin coating (nanolayering) of minitablets. The effects of ALD coating on the tablet characteristics and taste masking were investigated and compared with the established coating method. Minitablets containing bitter tasting denatonium benzoate were coated by ALD using three different TiO2 nanolayer thicknesses (number of deposition cycles). The established coating of minitablets was performed in a laboratory-scale fluidized-bed apparatus using four concentration levels of aqueous Eudragit® E coating polymer. The coated minitablets were studied with respect to the surface morphology, taste masking capacity, in vitro disintegration anddissolution, mechanical properties, and uniformity of content. The ALD thin coating resulted in minimal increase in the dimensions and weight of minitablets in comparison to original tablet cores. Surprisingly, ALD coating with TiO2 nanolayers decreased the mechanical strength, and accelerated the in vitro disintegration of minitablets. Unlike previous studies, the studied levels of TiO2 nanolayers on tablets were also inadequate for effective taste masking. 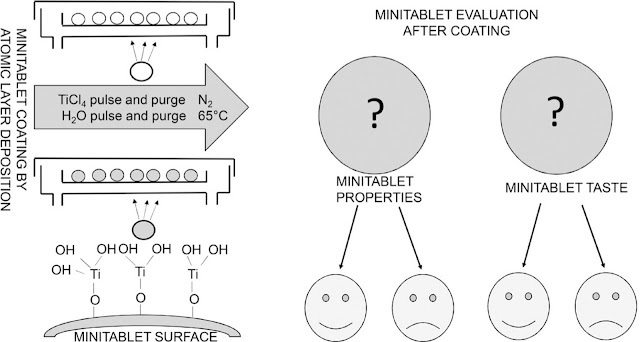 In summary, ALD permits a simple and rapid method for the ultrathin coating (nanolayering) of minitablets, and provides nanoscale-range TiO2 coatings on porous minitablets. More research, however, is needed to clarify its potential in tablet taste masking applications. The Korea Research Institute of Chemical Technology (KRICT) has developed a core electro-catalyst design technology that can significantly improve electrochemical fuel reaction which produces hydrogen fuel. The research team led by Dr. Kim Hyung-joo from CO2 energy vector research division at the KRICT announced on September 27 that it succeeded in developing the technology that can activate fuel reaction by changing the surface of molybdenum disulfide (MoS2) which is cheaper than white gold. REHOVOT, Israel: Nova (Nasdaq: NVMI), a leading innovator and a key provider of metrology solutions for advanced process control used in semiconductor manufacturing, announced today that its most advanced XPS platform was selected by the world's leading Foundry for inline applications to be deployed in its advanced technology nodes. Revenue from this order is expected to be recognized during the third quarter of 2017. 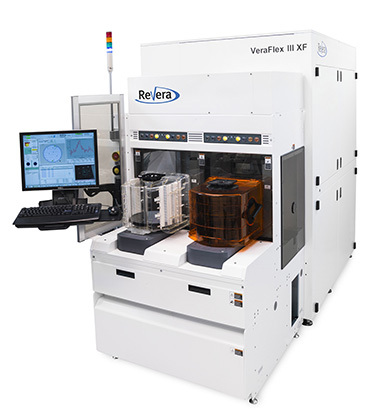 The VeraFlex III XF is the latest generation of the VF XPS series, which offers superior sensitivity to sub-angstrom thickness and composition characterization used for monitoring critical processes such as atomic layer deposition (ALD) at the most advanced Logic nodes. NCD has just received the large-scale contract with Chinese DMEGC to supply up to 400MW solar cell manufacturing ALD equipment. 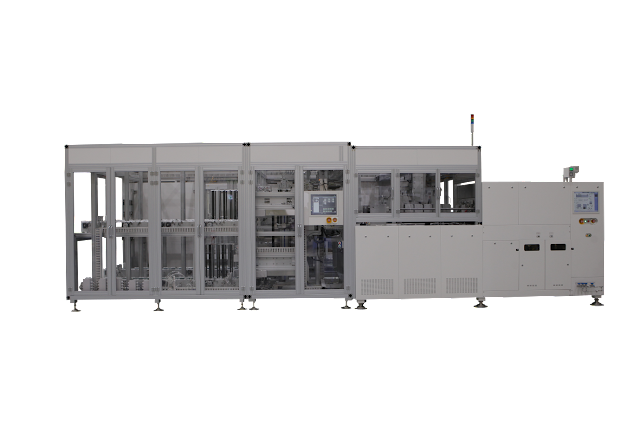 This mass production equipment is several Lucida (TM) GS1600 ALD and Automation Systems to produce high efficiency crystalline solar cells with depositing fast high quality Al2O3 ALD on Si wafers. It is repeat order of the same system supplied in the production line in 2016 because the customer has been satisfied with the excellence of the system, that is, NCD’s technology and competitiveness are confirmed by the Chinese customer again. 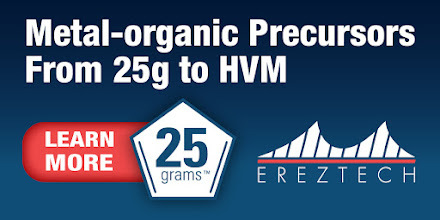 NCD is discussing supply agreements with many other customers besides this contract so is looking forward to rapid sales growth in the near future.